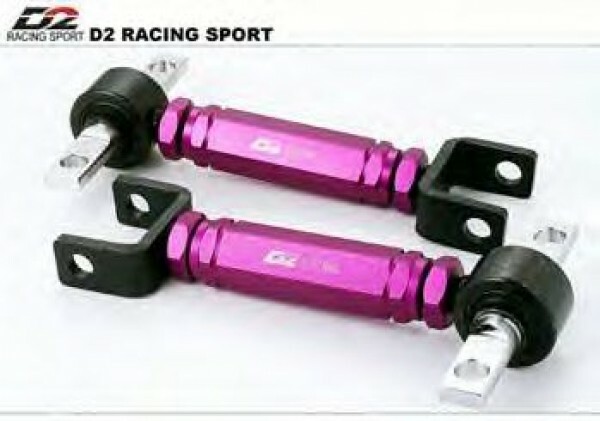 D2 Racing rear camber kit. This Kit provides you with adjustments from 0-3". This is a must for lowered vehicles, and your tires will love you. Polyurethane bushings and aluminum body provides maximum strength, performance and reduction of weight.